In the past, we reviewed the top technology trends driving practice efficiency and profitability. One of those trends was patient portals. Patient portals allow both large and small medical practices to communicate with patients and empower them to take better care of their health outside of the doctor’s office. While these systems provide patients with 24-hour online access to their own personal health data, physicians find it challenging to get them to actually use the system. Below are some ways you can increase patient portal engagement and optimize your portal for practice success. Encouraging your patients to take an active role in their healthcare is no easy task. But before you go all-in on a patient portal, it’s important that you understand the benefits so you can explain to your patients why they should use it. This transparency and increased communication with a healthcare provider is a gateway to strengthening the doctor-patient relationship. Utilizing a patient portal also provides a better, more consistent patient experience, and gives your staff more time to perform other important tasks. Finding a patient portal that works for you, your patients and your practice will require time and research. Don’t just buy the latest and greatest system on the market or cheap-out and purchase a clunky, outdated system. While many physicians shopping for patient portals hope to qualify for meaningful use incentives, you should focus on long-term goals. Don’t let the federal government be the only reason to change the way you manage your practice. There are four main things patient portals should do: increase practice efficiencies, improve quality of patient care, be able to integrate with your EHR system, and ensure your practice gets a return on investment. Find out from vendors if modules or other features can be added to the portal over time. This will allow for portal growth, meaning your initial portal rollout can meet meaningful use. Then down the road, you can incorporate more capabilities. You should also make sure your portal is mobile-friendly so patients can access their records on-the-go. According to the Pew Research Center, 90% of American adults own a cell phone, 32% own an e-reader and 42% own a tablet computer. If your system lacks mobile functionality, it will be increasingly difficult to convince patients to log in and actively use the portal. If it’s not mobile-friendly, it’s not worth their time. The next step is to take it for a test drive. Use the portal from a patient’s point of view. Was it easy to schedule an appointment? Was it difficult to refill a prescription? How fast did a staff member respond to an email? These are just a few examples of what you’ll need to test before committing to a system. Before you sign the dotted line on the contract, see what kind of support your vendor offers in regards to future updates, technical issues, etc. Now that you’ve got a good handle of how your patient portal works and how it can improve your patients’ lives, slowly introduce the technology through in-person demonstrations. Either you or an office administrator can show patients this new practice feature and help them set up an account with a username and password before they leave the office. If you have the time, walk them through the process of scheduling appointments, sending messages, and filling a new prescription. You will also need to get the word out that your practice has this capability. Publicize this new technology through your website, automated voicemails, social media sites, brochures or postings in your office. You can even create conversational cues so staff members can casually mention certain features of the portal when a patient wants to make an appointment, contact the office after hours or view lab results. Once you’ve committed to a specific patient portal, it’s your responsibility to make sure the system works and continues to drive patient adoption. Implementing such a robust system can be overwhelming, but don’t give up or let fear and intimidation prevent you from using it to its fullest potential. If you need a little encouragement, here are stories from healthcare providers who have implemented these systems into their practices and have seen great success. If your patients are still reluctant in using the portal, try sending email reminders or invitations to sign up. In these reminders, don’t reveal all the features of the portal – simply highlight key features. Too much information can be confusing and discourage patients, especially those who aren’t tech-savvy. As patients get more comfortable with the information you’re providing, they may gradually use the portal or ask for more details on how to get the most out of it. 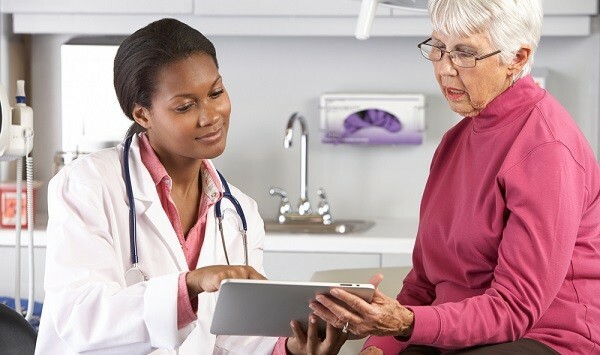 Increasing patient engagement with portals can be quite the undertaking, but with a working knowledge of these systems and a gentle, helping hand, your patients can be on their way to better health. Tell us: If you’ve implemented a patient portal, how did you get your patients to engage with the system?